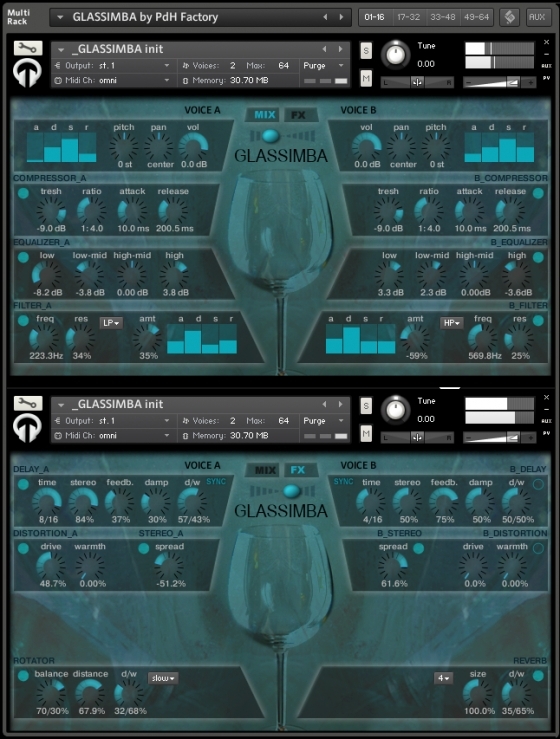 The GLASSIMBA is a Virtual Instrument for Native Instruments Kontakt. It is based on recordings of three wine glasses, from small to big one. 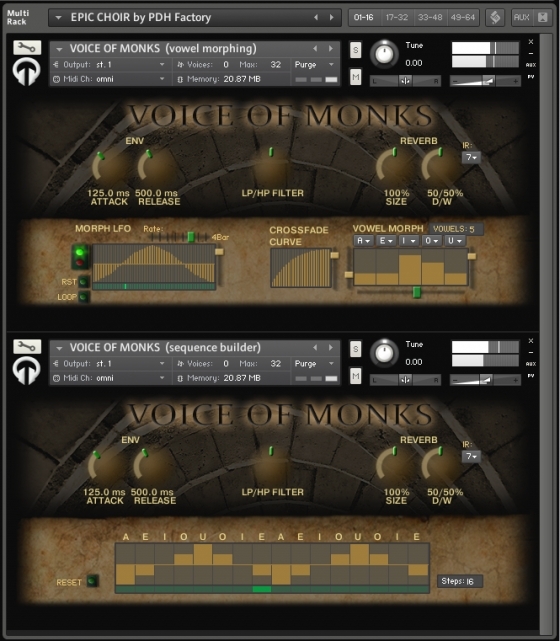 The Voice of Monks is the second library from our Voices series. It is inspired by gregorian chant-style of liturgical singing. We created an innovative instrument based on a male voice. We used techniques like layering or impulse resposes to create impression like a real choir. This library will enhance your production for soundtracks, trailers, video games, or any genre of music.